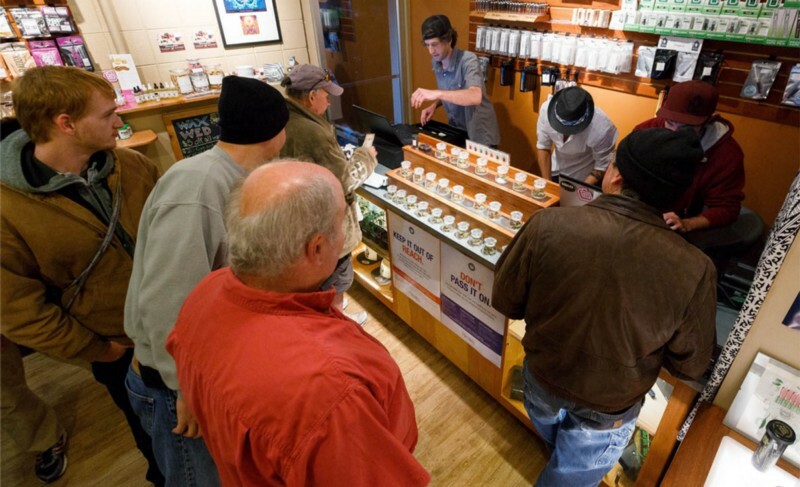 Dispensary first impressions are key to attracting and retaining customers. Potential customers first encounter the storefront before even walking in. Therefore, the design and feel of your dispensary will need to be welcoming and attractive to entice potential customers. Having visited more than a hundred dispensaries in the past few years, I have found that there is a “sketchiness factor” that directly affects my desire to enter an establishment. Visible security measures: barred windows, buzzer locks on doors, blackout blinds, security guards at the door, etc. People loitering and smoking cannabis at the front door. Poorly maintained storefronts: dusty windows, cracked glass, dirty signage, etc. Large windows with good interior lighting. Uncluttered, open concept spaces with ample lighting make for a positive dispensary experience that creates repeat customers. 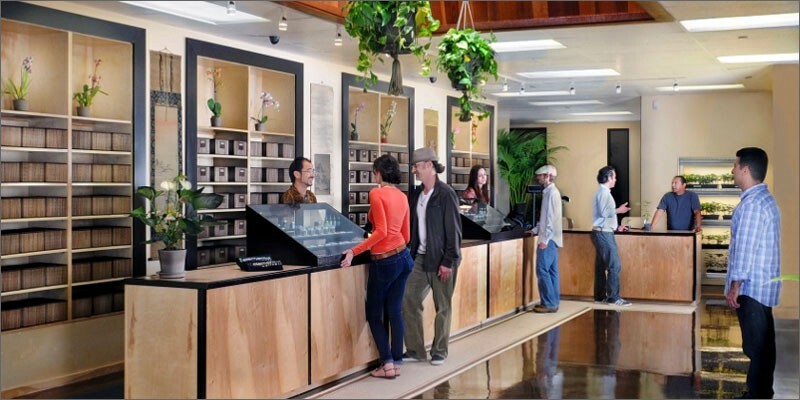 Create a welcoming space within your dispensary to draw potential customers. Firstly, the client must feel safe. Customers won’t enter if they don’t feel that your establishment is a safe space. Unfortunately, the legal atmosphere surrounding cannabis is still not 100% friendly. Because of this, many people still fear running into legal/criminal trouble while buying cannabis. Your store should be designed to put the customer at ease by fostering a healthy atmosphere with its physical appearance. The best stores convey to the client “we’re 100% transparent” through store appearance alone. The second thing that makes for good dispensary first impressions is the signup process. Never underestimate the power of friendly face time. Sure, leaving your customers clipboards with vague medical checkboxes may do the job. But stores can invest time and effort in polishing their signup process to great effect. Excellent customer on-boarding is a personal experience. It’s important to create that valuable connection between staff and client. Interactions with your budtenders shape the customer experience. Never underestimate the power of the first contact. There are some telltale signs of a quality onboarding process. Signing papers and verifying ID should be quick and painless. Dispensaries that do this best will cover their legal obligations in a timely, efficient manner. Ideally, a store will minimize the time between signup and viewing products. Key to this process is a POS that can onboard customers within minutes right at the counter. You should be able to add customers into your database quickly and easily with webcam picture taking and simple digital forms. However, the most important factor that makes for a good signup experience is employee-customer interaction. A passionate, informed employee is a dispensary’s best tool in retaining customer business. Providing recommendations, understanding a client’s unique needs, and providing clear product explanations make loyal, lifetime customers. Never underestimate simple things like small talk; conversation can let employees figure out what products the customer may like while building relationships. It is these positive personal experiences that bring customers back for their second visit.